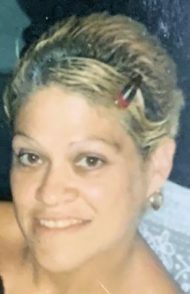 Maria C. Lopez-Torrado, 57, of Lancaster, passed away Tuesday, March 19, 2019 at Conestoga View. Born in Ephrata, PA she was the daughter of the late Jose and Carmen Torrado. Surviving are five daughters, Carmen Rodriguez, Crystal Lopez, April Lopez, Priscilla Lopez, Deanna Cruz; eleven grandchildren and two sisters, Migdalia Andujar and Aida Torrado. Mass of Christian Burial will be held at San Juan Bautista Catholic Church, 425 S. Duke St, Lancaster, on Wednesday, March 27, 2019 at 11AM. A viewing will be held from 6-8PM on Tuesday, March 26, 2019 at the Charles F. Snyder Funeral Home & Crematory, 414 E. King St, Lancaster, PA and again at church on Wednesday from 10-11AM. So sorry for your loss My condolences goes out to the whole family, My she RIP. My condolences to everyone! I’m Maria, Liz sister, little Louie and Laquisha’s cousin. I’m so sorry for your loss. GOD has gained an ANGEL! Rest In peace Maria. Mommy you will be missed so much this pain in my heart is inconsolable. I love you so much. My deepest Condolences to your family. May she Rest In Peace.